At over 4,000 locations in more than 105 countries, Sixt rents top-class cars to its customers at great prices. With the world's largest BMW and Mercedes-Benz fleet, and the latest models of luxury brands, sports cars, convertibles, jeeps and trucks, Sixt meets the requirements of every customer. Emirates Skywards Silver members: Up to 10% off car rental. Apply for your Sixt Gold Card(Opens an external website in a new tab). Emirates Skywards Gold members: Up to 15% off car rental, an upgrade and 10% off the Sixt Limousine service. Apply for your Sixt Platinum Card(Opens an external website in a new tab). Remember to quote the Emirates Skywards membership number when reserving your car and show your membership card at the rental counter. Please refer to the ‘Important Information’ for more details. Certain rates are excluded from earning Miles. Miles reward promotions cannot be combined. Retroactive Miles collection is only possible for the past six months. 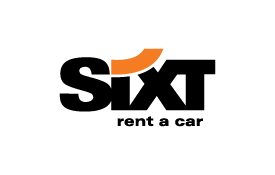 Up to 15% discount is valid on all offline and internet private customer rates of Sixt rent a car and Sixt rent a truck, valid at the time and place of rental. The discount is subject to local availability and cannot be combined with any other offer or promotion. Free upgrade for Emirates Skywards Gold members is subject to availability. Not valid for long-term rentals, special cars, holiday cars or trucks. Emirates Skywards Gold members must apply for a Platinum Sixt Card in order to receive 10% discount on limousine service. 500 Skywards Miles will be awarded for a standard rental plus 200 bonus Miles can be earned when booking online through www.sixt.com/emirates(Opens an external website in a new tab). Miles will only be credited after completion of actual rental. Always quote your Emirates Skywards membership number at the time of booking online, through the phone, or in person.